I like the st4rs, they are awesome, very nice render. I like it. that is awesome! how did you make the stars compressed like that, and the path of fog??? I love this, the scene is very nice, and the X-wing and star destroyer models are incredibly well modelled. I love the ring around the planet. Good job. 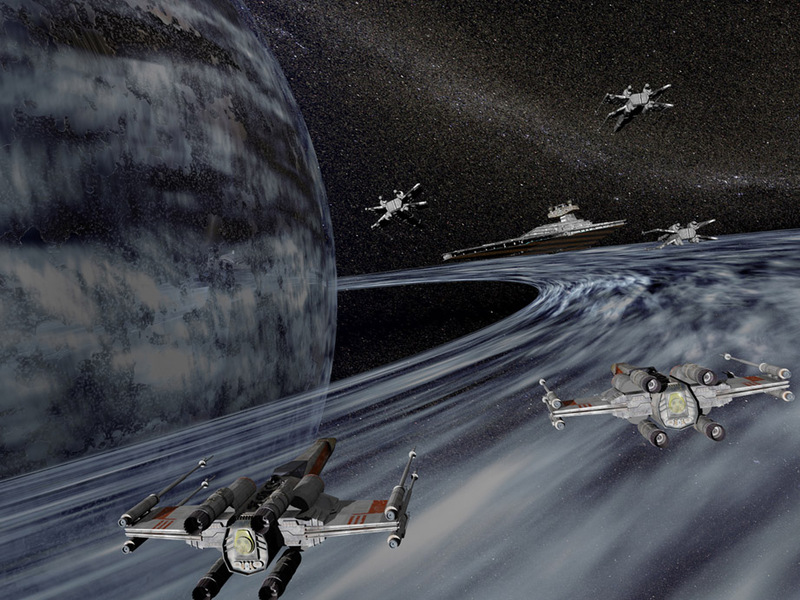 arnt those x-wings and battle cruiser downloaded from renderosity.com? well done mate, it looks awesome. do you care to give away some of your tricks of the trade in reltion to the stars?? ?